NEW NAME FOR BEST CLASS EVER!!! Over the past decade Dan Nordberg has dedicated himself to giving a new name to The Best Class Ever. Late Friday night Nordy received word from the Library of Congress, the U.S. Patent Office and the 9th U.S. Circuit Court of Appeals that his hard work has paid off. The Class of 1994 will now permanently be known as 19-NORDY-FOUR. 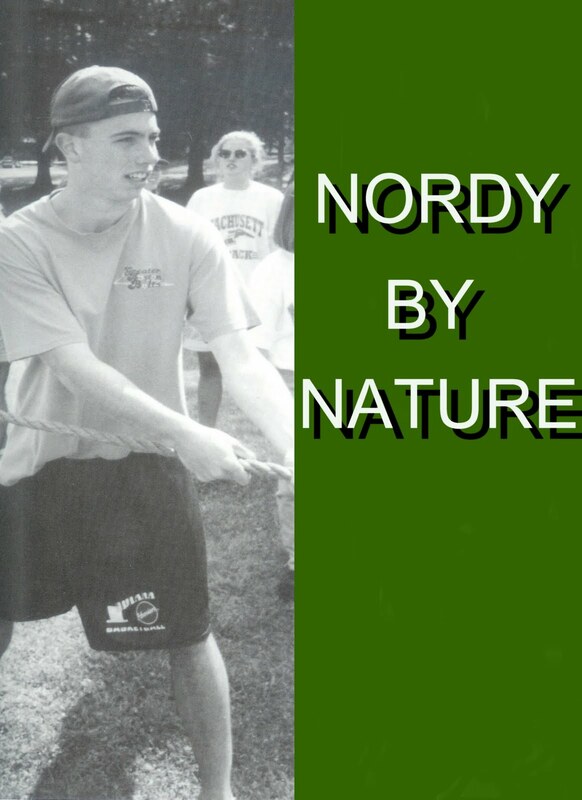 This solidifies Nordy’s position in the pantheon of Wachusett greats, vaulting him ahead of stalwarts such as Dave Fudeman, Tim Ethier, Scott Stidsen, Larry Rettig, Tim Crockett, Ryan Sweeney, Matt Buma and Megan Hehir. In a press release Nordberg said he did not do this for himself, but for the betterment of the world and more importantly our class. “Clearly it is more fun and easier to say ’19-Nordy-Four’ than ‘1994’, especially for foreigners who visit America,” Nordberg said. Nordberg also noted that these changes give our class much needed respect. “We will no longer be looked at as paper champions,” he said. Categories: 19-Nordy-Four, 1994, Greatness, Nordberg, Nordy By Nature | Permalink.